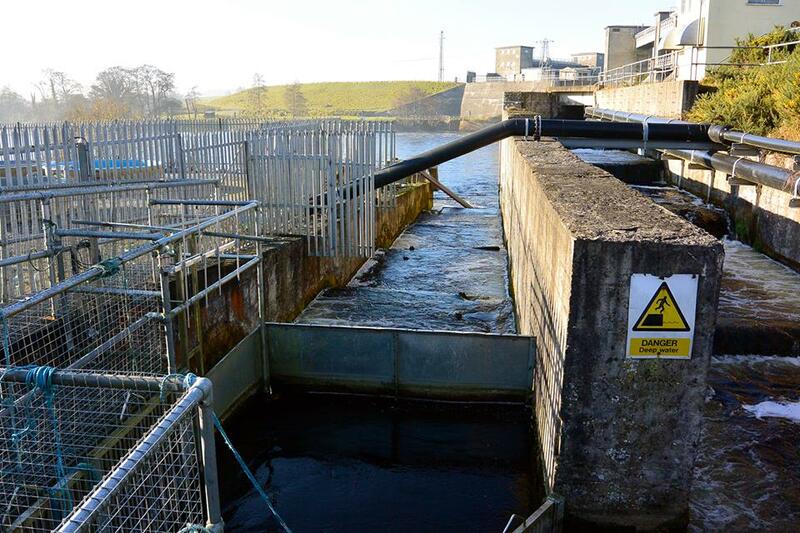 The ESB salmon hatchery at Parteen weir is open 60 years this year and over that time it has released c.30 million juvenile salmon into the River Shannon. 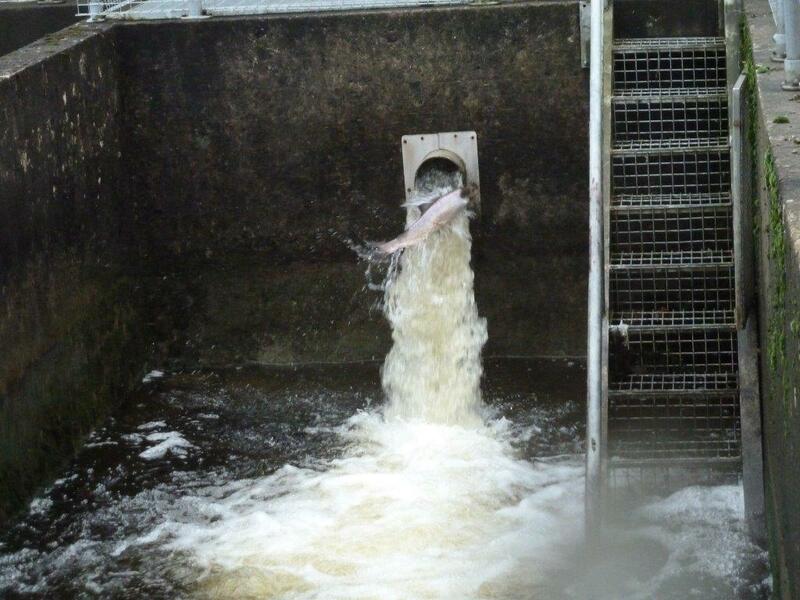 However, runs of salmon through the Shannon dams could not be any lower if this hatchery had never existed. The river meets <5% of its conservation escapement target. The Shannon is at the very bottom of the league of rivers in Ireland of rivers in this regard. 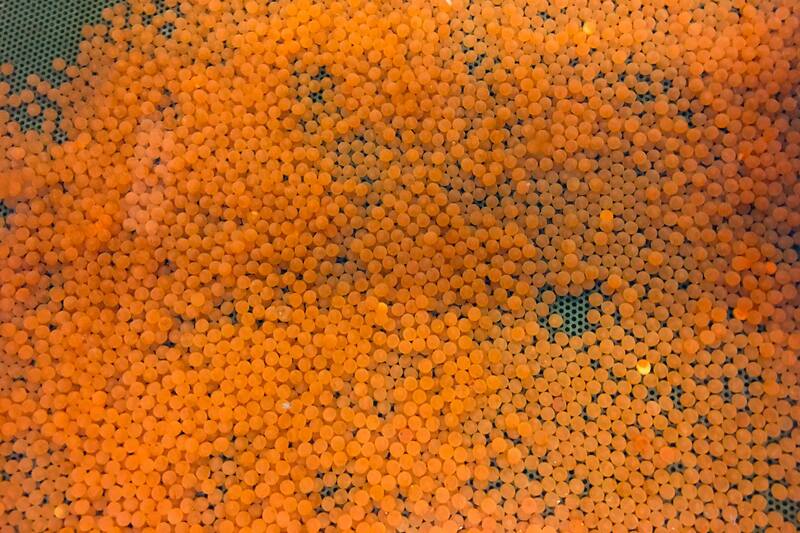 Parteen salmon hatchery has been a failure and continuing to operate this hatchery is just doing more harm. 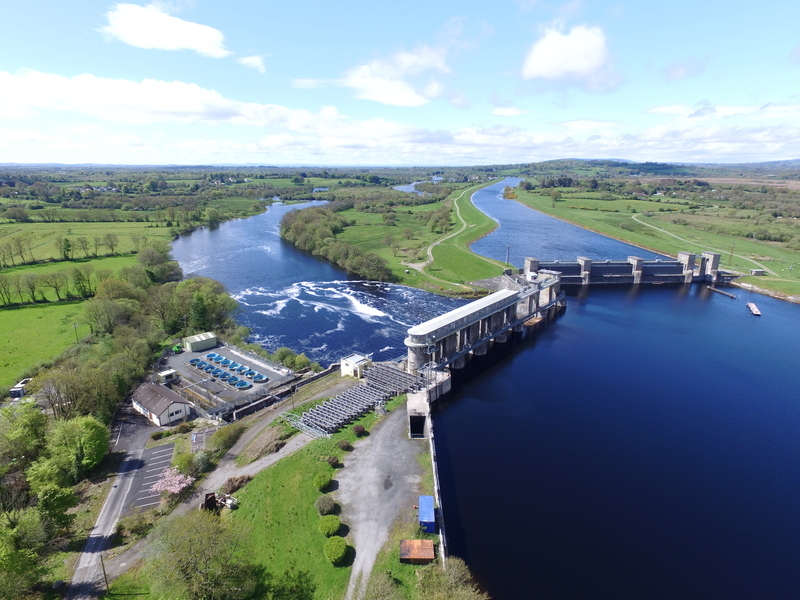 Releasing millions of hatchery fish has comprised the genetics of salmon in the River Shannon and the brood stock trap has added to the fish passage problems on the river. If there was no salmon hatchery – and no trap in the fish pass – things could not be any worse. Indeed, the salmon stocks would probably be doing much better. Doing the same thing over and over again and expecting different results is a definition of insanity! This hatchery needs to be closed immediately and the substantial money which is used to run it should be invested in new modern fish passes and bypasses. Parteen Regulating Weir on the Lower River Shannon, May 2018. The salmon hatchery is visible on the left. The trap used to collect brood stock at Parteen significantly adds to fish passage problems on the Lower River Shannon. Salmon have to enter this configuration and are then have to exit via a pipe into a raceway. The pass is always closed. Wild fish can be held here for a number of days (e.g. bank holiday weekends) before being netted and handled prior to release. The trap is not run at all earlier in the season. This trapping has a significant impact on salmon runs on the Shannon even before you take the overall impact of the hatchery (e.g. genetic impacts) into account. 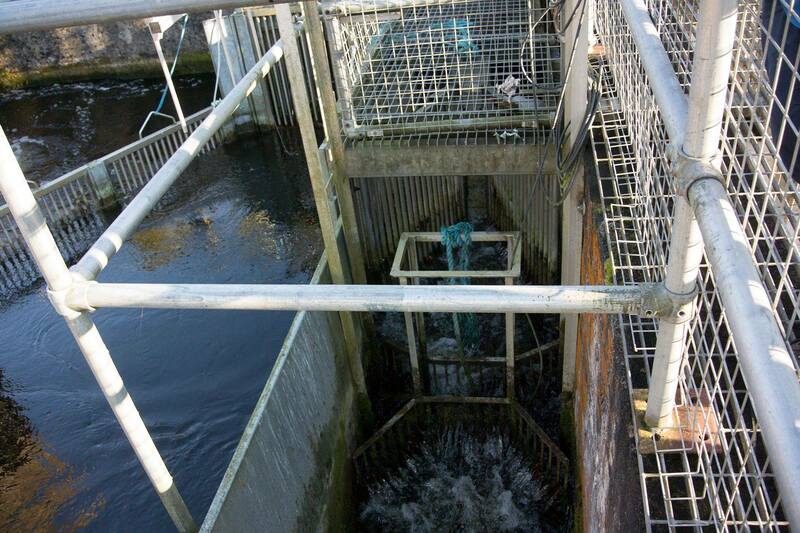 The fish pass at Parteen Regulating Weir showing how the pass is blocked by the brood stock trap. Passage of ‘wild’ fish upstream has to be given absolute priority over brood stock collection. This trap is a fish migration barrier. We need to prioritise wild fish escapement over brood stock collection. Parteen hatchery needs to be decommissioned as it has failed – runs of salmon are <5% of what they should be. The money saved from closing the hatchery should be used to build new fish passes/bypasses. Previous The last of the River Shannon salmon?